When Isabella died, her parents were determined to ensure her education wouldn’t suffer. But Isabella’s parents had not informed her new governess of Isabella’s… condition, and when Ms Valdez arrives at the estate, having forced herself through a surreal nightmare maze of twisted human-like statues, she discovers that there is no girl to tutor. 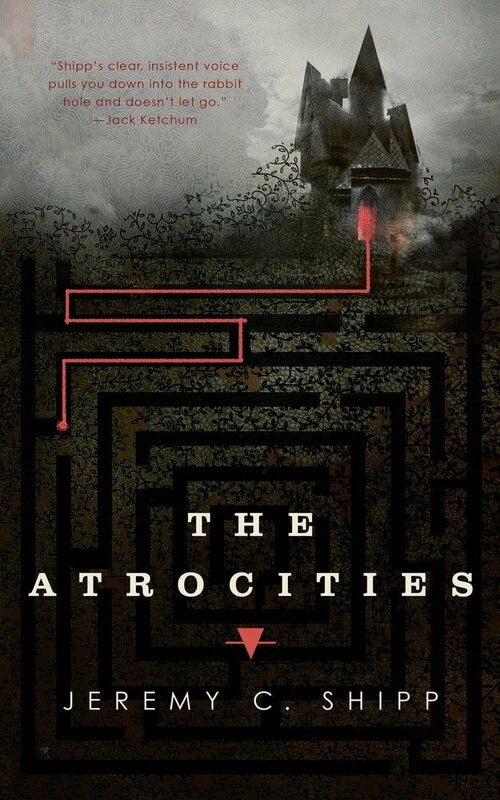 The first person narrative evoking the scene, feeling what lurks, that which knocks at night and laughs, and those peering eyes, all layered out with distinct voice and corrects words to horror the reader, precise concise and smack you right into nightmarish Atrocities. An author had a birthday. A notification of is birthday reminded a reader and reviewer of this novella, one he had to read many days before release date, one of which he had not reviewed. As time went by…so little time and so many books, this one left me behind. A short read, one maybe shocking, an atrocious atrocity was something worth trying, on that day. There was that blurb by the great horror writer Jack Ketchum got me too, and that grand haunting house image on the cover calling, and then on his birthday I decided to give it a shot. The price on kindle was $3.99 and for the price of a nearly maxed up coffee these words and nightmarish interlude worth every dollar, for something that would just be washed down, this one would lurk and may haunt your quiet times, more lasting than that one coffee you would maybe spend this on. “Malformed beetles creep and buzz inside the bulbs. I can see their silhouettes through the thin glass. “What are you saying?” I ask. A small gray hand slides out from under the blankets. I sit on the bed and hold the icy, withered flesh. Only now do I notice the holes in the walls. There are eyes everywhere, peeking at us, never blinking. “Fiend,” the voice says, quivering. When I bring the hand closer to me, I discover that the flesh ends at the wrist. Quickly, I search the mound of blankets, but I can’t find the rest of him. I open my mouth to ask, “Where are you?” But I can’t get my lips to part. The fluorescent bulbs flicker. The beetles hiss. “someone slams against the door of my room. “Hello?” I say, getting out of bed. The door handle moves up and down, slowly. As soon as I approach the door, the brass handle stops moving and I hear a high-pitched giggle coming from outside the door. The laughter sounds artificial, like a cartoon character’s. I look down and I’m still wearing the olive cardigan, navy skirt, braided belt. I reach out and open the door.